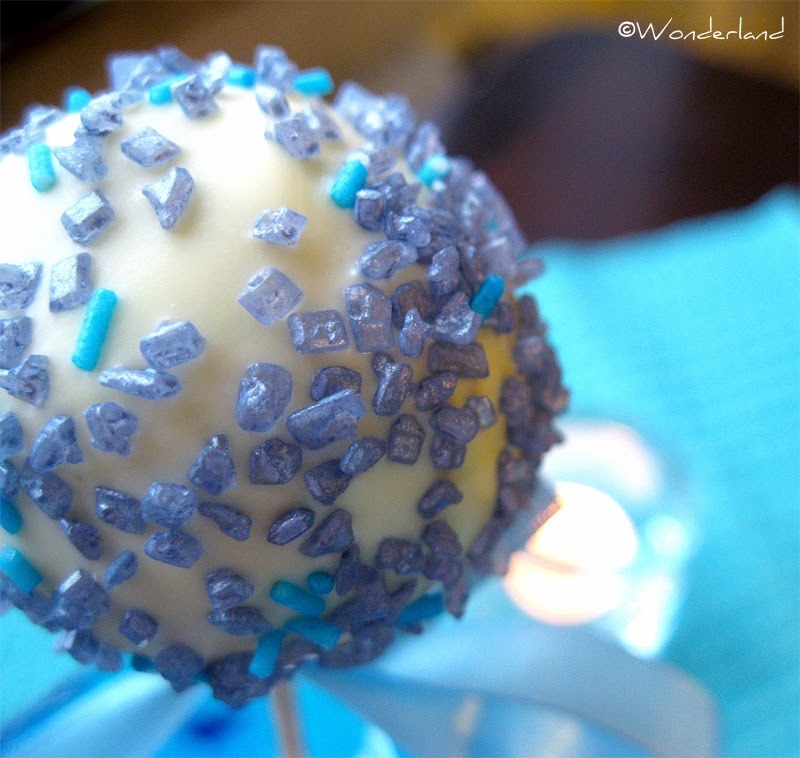 If you live on Mars and still don't know what cake pops are, well... they are basically lollipops made with cake and coated in chocolate and sugar sprinkles. They are fun to make, to eat and to serve to guests! 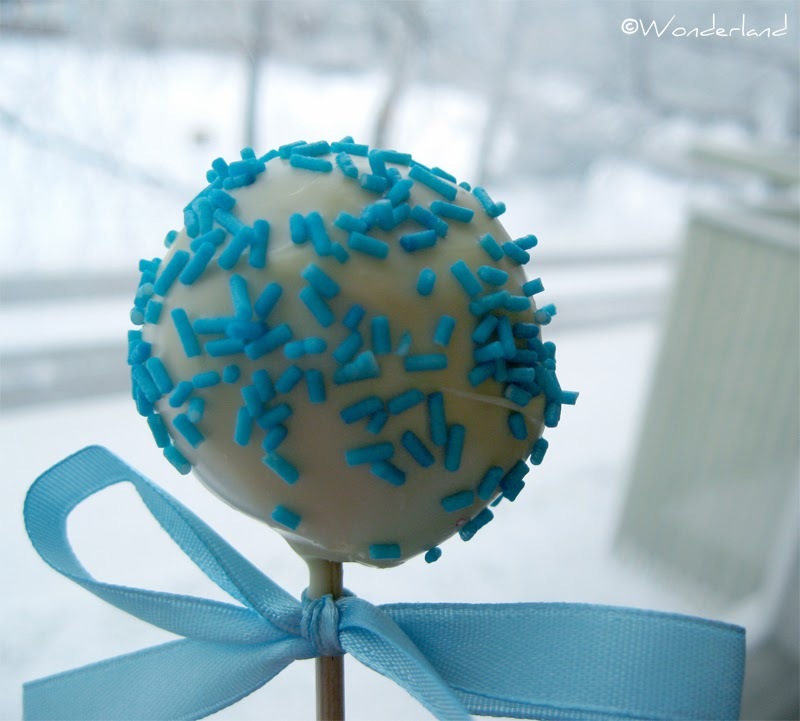 So what more perfect occasion to enjoy delicious Cake Pops than New Years Eve? This way the process is even faster. I mixed the Oreo crumbles with some fresh creamy cheese. Remove the vanilla filling of the cookies and crush them in a blender or with your hands to very fine crumbles. Put them into a bowl and add the cheese, one spoonful at a time, mixing with your hands. The dough is ready when it feels like modelling clay, it doesn't have to be sticky. Make small balls from the dough, place them on a plate covered with a sheet of oven parchment and leave them in the refrigerator for some hours (I left them over night). Melt a couple of squares of chocolate in the microwave or in a pot, dip one edge of the sticks in the chocolate for about 2 cm and slide it carefully into the balls. It would be advisable to put the balls back in the fridge for a couple of more hours so the sticks will stay in place! Melt the leftover chocolate and pour it into a tall and narrow glass or container. 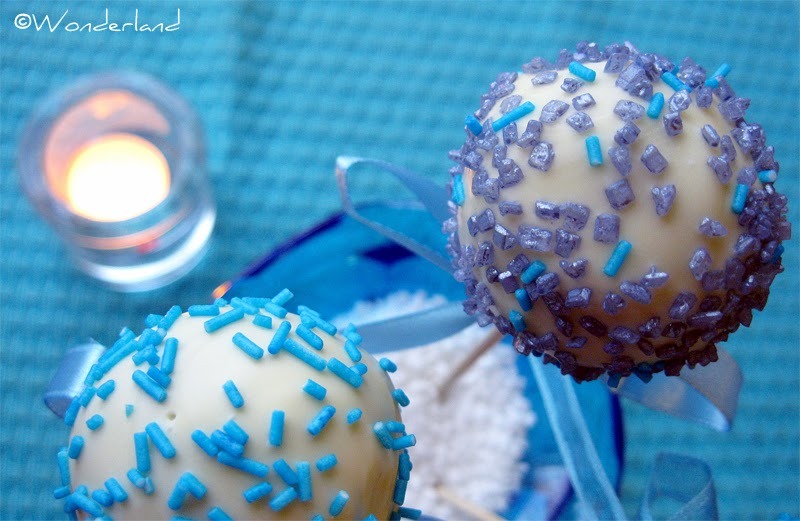 Hold the sticks upside down and dip the balls in the chocolate. Tap slightly on the hand that's holding the stick so the excess chocolate drips off. 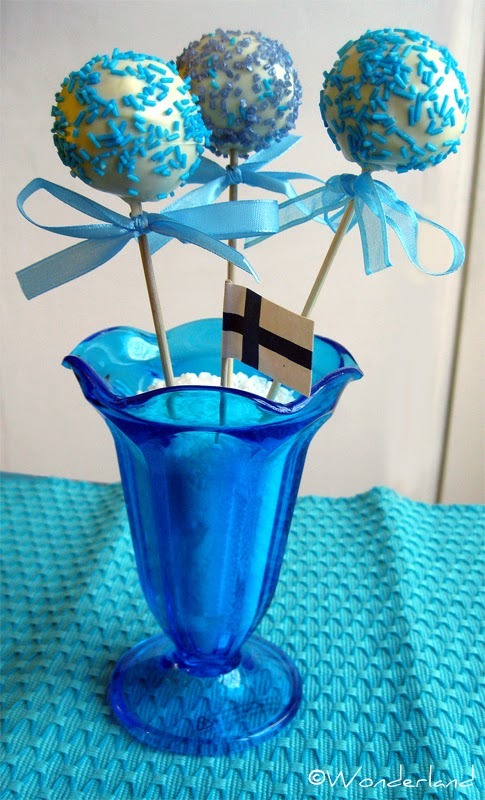 Decorate right away with colorful sugar sprinkles and place the cake pops in vertical position into a block of polystyrene (a container filled with sugar works as well to hold the sticks in place).